When you are applying for an executive level position, it's important to include your most relevant qualifications and . Review the job posting, then focus on your strongest credentials for the job. Consider adding a and a to highlight your management and leadership experience and to showcase the attributes that make you an ideal candidate. 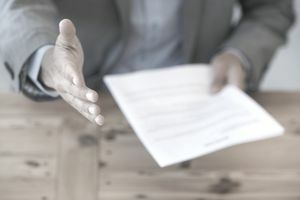 Executive level resumes differ from mid- or entry-level resumes in that they are generally more detailed and, often, longer – they can run up to three or four pages. Page one of your executive resume should be formatted and written so that your most impressive leadership traits and career achievements are highlighted; this will encourage an employer to read on. One good way to emphasize skills like “operations management,” “strategic planning,” or “cost reductions” is to format these in an initial skills list at the very beginning of the resume, right after your contact information. It’s also a great strategy to mention between three and five major accomplishments, quantified with dollar figures, numbers, or percentages, in an opening resume summary. Here’s an example: “Increased productivity by 85% in FY2015 by implementing two new assembly lines.” Make these examples “pop” on the page by presenting the figures in boldface. In the “Experience” section of your resume, begin with your most recent employment and work back chronologically. It’s acceptable to include descriptions of your employment for the last 10 to 15 years. Avoid mentioning experience from earlier than this, however – doing so may result in your being screened out by employers guilty of ageism. The following is an example of an executive resume for a position in manufacturing, operations, and/or consulting. (compatible with Google Docs and Word Online) or see below for more examples. Manufacturing, operations, and consulting executive with more than fifteen years experience. Consulting engagements in a variety of industries, including automotive, aerospace, downstream oil, steel, and general manufacturing/industrial products. Diverse, comprehensive operational background, including engineering, manufacturing, supply chain/sourcing, logistics, strategic planning, and marketing. Led a team of approximately 50 salaried associates, including 5 managers, for a 3-shift facility, with 6 production areas, as well as 4 support functions. Supported new product tests, test markets, intermediate scale production, and equipment development. Improved customer service metric by 8% over previous year, measured across hundreds of tests. Reduced overall facility downtime by 20% and achieved aggressive production downtime goal. Zero injuries or lost time (20XX), a corporate safety audit record and recertified for OSHA's VPP Star. Restructured operations at a Pune, India manufacturing company for a major global conglomerate. Developed sourcing strategy for a major national energy company reviewing all areas of manufactured products and services ($1.2 billion) to best determine opportunities for short- and long-term savings. Targeted savings from project expected to surpass $30 million dollars annually. Launched new initiatives for a Dallas-based retail CEO, including an international entry strategy. Consulted more than ten local companies in diverse areas including: turnaround management, intellectual property, strategic planning, credit scoring, M&A, promotional products, and telecom. Completed the workout for a local LBO firm of a major food company after their filing of Chapter 11. Led analysis of A/R position & cash flow forecast. Led four different teams traveling to nine cities throughout the United States to support a Homeland Defense initiative focused on explosive detection for threats against commercial aircraft. Restructured operations of an industrial products division for a $5 billion dollar conglomerate. Created a 'Production Control/Shop Management & Reporting system' in Excel as a stopgap for clients while they are evaluating ERP systems. Reached record levels: 30% increase in 6 weeks. Executed improvements in manufacturing, lab, purchasing and returned materials. Results included a 10% improvement in labor utilization and an 85% reduction in cost of rework of customer returns. Worked with U.S. government agency's security and anti-terrorism unit in explosives detection. Co-developed corporate strategy in Affinity Marketing (partnering), including organizational and operations restructuring, for presentation to North American executive management.